We specialize and are experienced in all fiber types from delicate high-end fibers like silk to more popular fibers like polyester. We use top-of-the-line continuous flow upholstery tools – the best technology in the industry. We never over-wet upholstery. 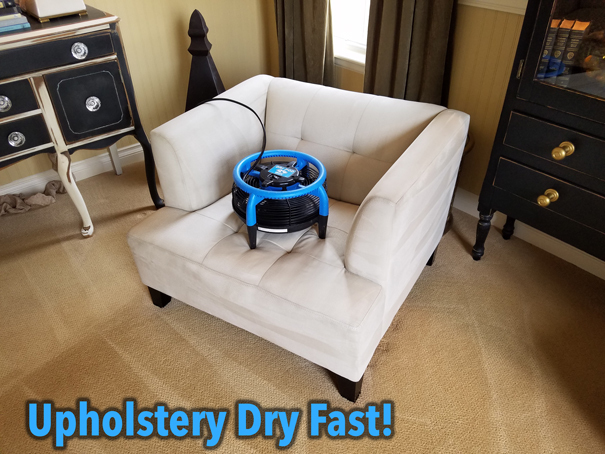 Speed dryer fans for dry upholstery fast! Fresh Deodorizers included for your upholstery – choose your favorite scent! Genuine Scotchgard protector available, but we never hard-sell or pressure clients. Magic Wand’s premium upholstery cleaning service can restore your sofas, chairs, or car interiors to beautiful condition. We specialize and have experience in working with all fiber types from high end silks and natural fibers to more common materials like polyester. You spend a lot of time relaxing on our upholstery every day, and it gets dirty. It needs to be cleaned and maintained just like our bed sheets, clothes and carpet. Also, upholstery collects dust over time and these contaminants need to be flushed out. Magic Wand has your solution and in a short amount of time we can bring your upholstery back to life! 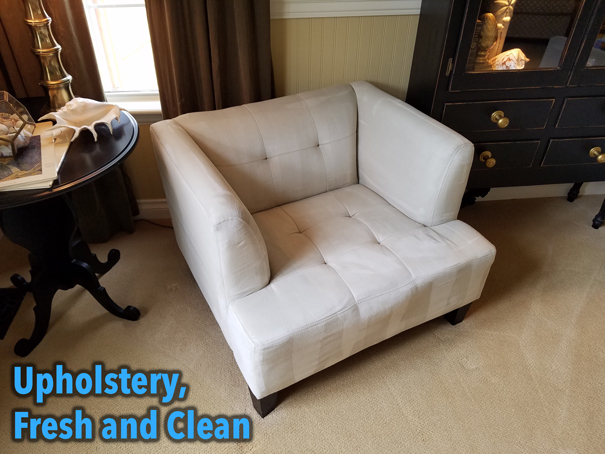 Most upholstery is best cleaned with our hot water extraction / steam cleaning method. First, we’ll mist on a fresh, family safe cleaning solution onto your upholstery, specially designed for the specific fiber. Then, using our top of the line tools and equipment we will rinse the cleaning solution out of the fibers and leave behind a fresh, clean piece of furniture for you to enjoy. Speed dryer fans may be used to speed drying if possible, and upholstery typically dries between 10 minutes to a couple hours. We also offer dry-cleaning methods for high end fibers that may require it such as silk, genuine velvet and others. 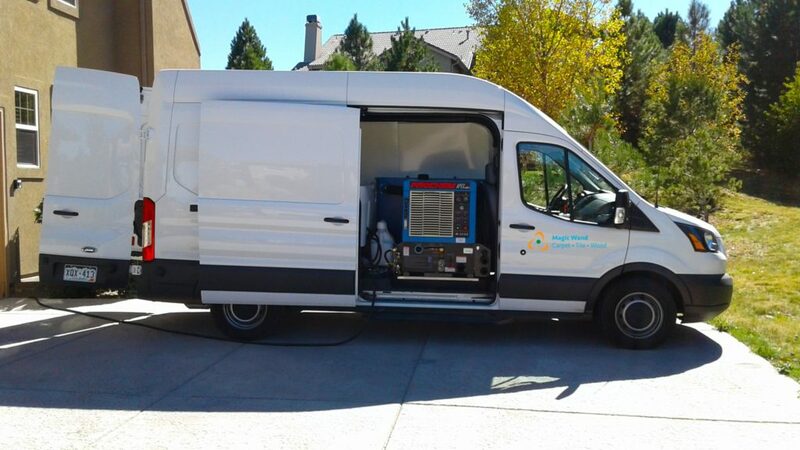 Give us a call to discuss options for these, as sometimes there is more than one method we can use for the best results, depending on the situation. Upholstery is quite a bit different from carpet, and it needs special treatment during a cleaning process. Inexperienced service providers can very easily leave your upholstery with permanent damage, rock-hard residues and soaked for days with a nasty smell. We have seen it all – please trust it only to a serious professional with the knowledge and experience to take care of it properly. Time for some upholstery cleaning? You have come to the right place! Please browse our website and learn about us, and feel free to send us a text message or give us a call if you have any questions or would like to schedule an appointment. You’ll be happy with the results – I guarantee it!